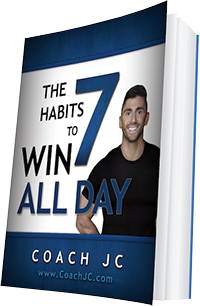 Coach is the founder of the WIN ALL DAY movement. After hitting rock bottom, $400k in debt, suicidal and in the fight of his life to be a father he figured it out. He has turned his passion into profit and now coaches other businesses, entrepreneurs, pro athletes, CEO’s, pastors, and people from all walks of life to WIN in life. 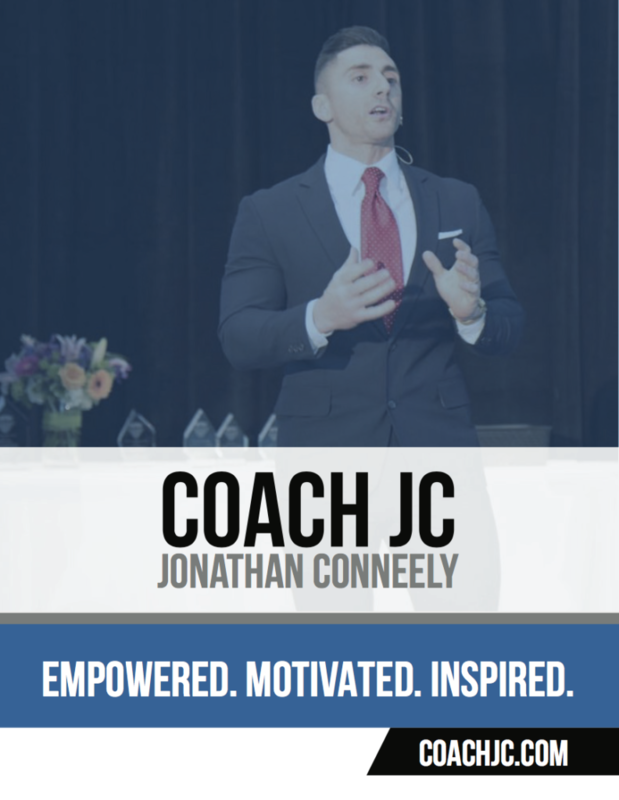 Coach JC has grown his businesses through social media with over 1 million views on YouTube and over 150k followers on social media. He is the author of 4 books, the founder of the non-profit, Fit First Responders and has motivated large crowds through his professional speaking even opening up for President Donald J Trump in front of 12,000 people. Life Coach and Award-Winning Entrepreneur, Coach JC, will deliver the RIGHT message at the RIGHT time. YES! ALL DAY! First of all, I want to thank you for the opportunity to be considered your speaker at your upcoming event. It is a true honor to be trusted with the privilege of delivering a message to your audience from the platform. I am very passionate about what I do and take this responsibility very serious. I will be the most motivating speaker you have ever hear and your audience will never be the same. Oh yeah, I am also very low maintenance. As your speaker I can you promise you that your audience will be engaged, entertained, inspired, empowered and motivated to WIN. My goal is to make you look like a true genius and hero for bringing me in and to not only deliver a life changing talk but leave a lasting impression on your audience. My mission in life is to help as many people as possible WIN and live their best life. I am blessed and privileged on a daily basis to help people perform at a higher level and WIN in life through my coaching and speaking. I get to speak all over the Nation to all kinds of organizations and I LOVE it! Its my passion, my calling and my high and I am excited for you to see that during my talk. I will give you a heads up now, my energy and passion is contagious, I like to have fun when I’m speaking and love to get the audience involved. I am an Italian kid from Jersey so I use my hands a lot to talk…you will rarely catch me standing in one place longer than :5 sec, you will see me jump, run, get over the top excited, sweat and even yell at times! I get to travel the world and get to inspire and motivate audiences from the business world, teams, organizations and church congregations. I have been blessed to speak at a wide variety of events to all different kinds of audiences and age groups from 30 people in board rooms to over 12,000 in arenas. Once again, thank you for considering me as a speaker for your event!